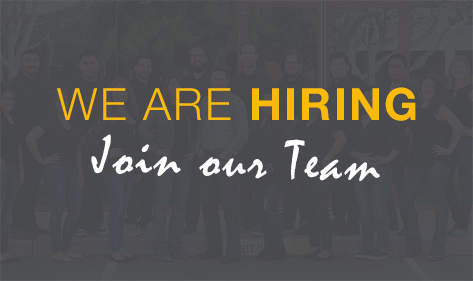 OptoTest Corporation, a Camarillo, California based manufacturer is currently recruiting qualified candidates. OptoTest is one of the world’s top manufacturers of lab/benchtop level fiber optic test equipment and is a company you can be proud to represent. We make extremely accurate, reliable and customizable equipment that our customers love and fully depend upon daily. Our company is an ISO9001:2015 company. This means you work for a company that gets quality right throughout the organization. From orders that ship on time, to way above average tech support, to very long-lasting and reliable equipment — OptoTest equals quality. To be considered for an opportunity listed below, please click here to send your resume. In this role, you will be responsible for increasing sales revenues within a regional territory. This includes opening new accounts, participating in trade events, providing customers with technical training and persuasive demonstrations of the product line, and building lasting relationships with customers for repeat business. In this role, you will be responsible to design and implement hardware components, circuits, modules and systems for Fiber Optic Test Equipment and be instrumental in the release of new products in our rapidly expanding business. Design with optical components and high frequency design a strong plus for this position. In this role, you will be responsible for supporting the Marketing Manager on a variety of design activities, including publication of marketing and communication materials, daily administrative and creative tasks. You will also be responsible for assisting other departments, including sales, accounting and HR. If you are creative, organized, detail-oriented and can work cross-functionally with multiple departments, this may be the right opportunity for you. If you are looking for a 6 month or longer internship and get first hand experience in product development, test & measurement technology, product manufacturing, documentation control or sales assistance we are happy to accommodate the energetic individual who is eager to learn and contribute. Non US residents are welcome. We will offer assistance in finding accommodation and transportation.